From now until the end of December, the Wood Family Foundation challenges you to help us raise $20,000 in celebration of the 20th anniversary year of Kerry Wood’s 20-strikeout game. To share our gratitude during what we’re calling “Woody’s Month of Giving Giveaway” we’ll offer weekly chances in the month of December to win Woody’s tickets, your exclusive access to our unique celebrity bartending event featuring Cubs players/alumni and other local celebs. Woody’s Winter Warm-Up 2019 tickets! Kicking off on #GivingTuesday, Wood Family Foundation is launching Woody’s Month of Giving Giveaway, your chance to provide critical support to our deserving Pitch In middle school students and enter a raffle to win tickets to Woody’s Winter Warm-Up! Between December 18 and December 28, a $100 or more donation to WFF enters you into a raffle to win four (4) Woody’s Winter Warm-Up VIP tickets! Pitch In today and help the Wood Family Foundation raise $20,000 by December 31st, 2018. If you gave $100 in Spring 2018 when we sold historic 05/06/98 scorecards signed by Pat Hughes and Kerry Wood himself, and you choose to make another $100 donation by December 28, you’ll receive two (2) raffle entries and DOUBLE your chances of winning four (4) Woody’s VIP tickets. 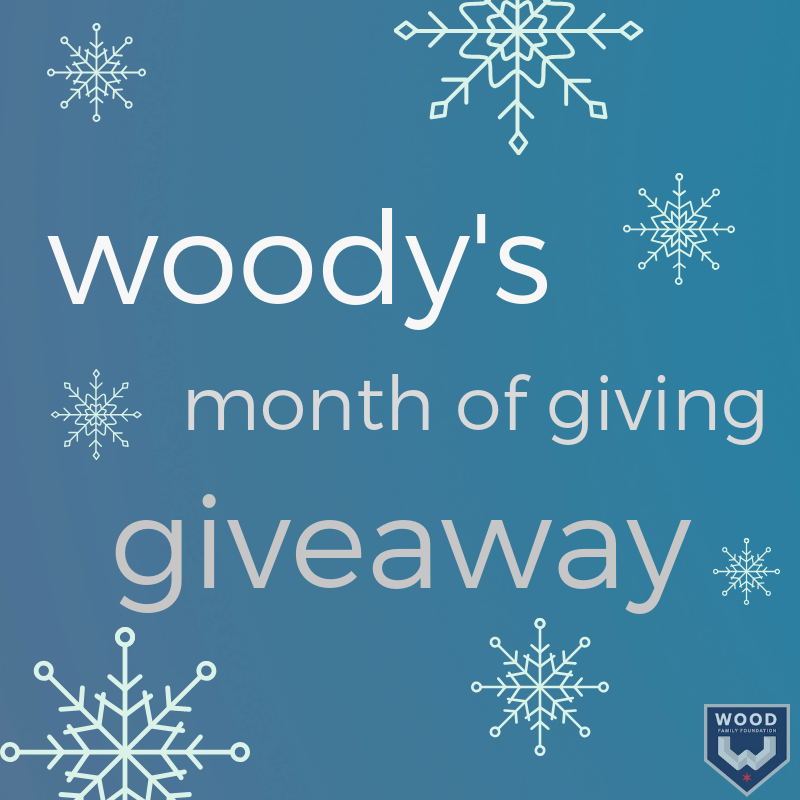 Check back to see other cool prizes throughout December leading up to Woody’s Winter Warm Up on January 18th, 2019!